Just as the coming of summer gives most people a healthy dose of good feelings and excitement for warm-weather activities, the shorter days and longer periods of darkness that accompany winter are known to cause some mild cases of the “blues” and can cause even more serious levels of outright depression. Most people feel at least some effect from the colder weather and reduced sunlight, but did you know that you can avoid (or at least minimize) the worst symptoms of seasonal depression by supplementing with the right natural ingredients? Seasonal depression was first identified by the National Institute of Mental Health when they referred to it as “seasonal affective disorder,” or SAD, in 1980. Today, it has been recognized by the medical and psychiatric communities as an official subgroup of major depression as well as a mood disorder. SAD is four times more common in women than men, and even children can be affected. Symptoms such as irritability, apathy, sadness, weight gain, increase in appetite, fatigue, depression, diminished concentration, withdrawal, sleep disturbances (which means waking unrefreshed despite being in bed for enough hours), and reduced physical activity may slowly begin during the winter months as each day brings less and less sunlight. There are no one-size-fits-all remedies for SAD, primarily because symptoms can vary considerably in each individual. There may also be other causes for the depression that SAD is simply making worse, such as chronic fatigue syndrome, hypothyroidism, hypoglycemia, and chronic viral infections. The difference between SAD and other conditions that cause similar symptoms is the cyclical nature of SAD. In other words, you may have SAD if your depression consistently gets worse in the winter months and gets a little better in the spring and summer. Although SAD is recognized as a legitimate medical condition today, there is still much about how and why it happens that remains a mystery. There are not any definitive tests yet to detect SAD. However, a key factor appears to be related to the amount of light and darkness we are exposed to throughout the day. The latest research on SAD shows that as we move into the longer and darker days of winter, our body’s internal production of the hormone melatonin and the neurotransmitter serotonin shift and the resulting imbalance between these two chemicals can trigger the onset of SAD. Melatonin is a hormone produced by a small, but important, gland that sits in the middle of the brain called the pineal gland. The pineal gland regulates the natural sleep/wake cycle of the body called our circadian rhythm. During the day, the pineal gland is inactive and minimal melatonin is produced. But when darkness sets in, the pineal gland turns on and melatonin is produced and released into the blood stream. This helps induce sleep. The body’s internal clock, called our circadian rhythm, depends on a healthy and balanced dose of light and dark exposure to help it stay synchronized. As the seasons shift and the days become shorter and nights become longer, the body is naturally exposed to higher levels of melatonin. The production of serotonin, in contrast to melatonin, is triggered by sunlight and it is known to directly combat depression. Serotonin is a neurotransmitter (helps to carry signals within nerves) and found in the brain and gut. Serotonin is thought to help the body maintain mood, provide the body with a heightened sense of calm, and helps to reduce stress and anxiety. You may be familiar with serotonin’s effects from Thanksgiving dinners, as it is a derivative of the tryptophan found in food sources like turkey. 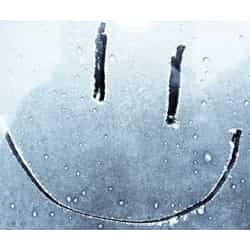 When winter and its short days come along, the body makes less serotonin. According to many health organizations, such as the British National Health Service (NHS), this chemical change between lower levels of serotonin and higher levels of melatonin are thought to be significant factors in seasonal depression. The higher melatonin production makes us tired and reduced serotonin levels make us more stressed and anxious. Although every human body is exposed to fluctuating levels of these two chemicals throughout the year, the NHS also points out that the degree of seasonal depression an individual experiences is deeply related to their body’s genetic ability to manage these hormonal and chemical changes. Many studies show that St. John’s Wort boosts production of “feel good” brain chemicals like serotonin and dopamine and is effective in alleviating the symptoms of mild-to-moderate seasonal depression. In one study, published in Journal of Women’s Health, SAD patients were given daily doses of 900 mg of St. John’s Wort. The treatment was found to lessen SAD symptoms and the researchers noted that the therapy was even more effective when taken along with light therapy (exposure to artificial light). A study from the British Medical Journal analyzed previous scientific trials and concluded that St. John’s Wort is more effective than a placebo and is even as effective as certain pharmaceutical options, making it a great replacement for those on the pharmaceutical antidepressants known as selective serotonin reuptake inhibitors (SSRIs). SSRIs have been demonstrated to lead to dry mouth, gastrointestinal issues, and fatigue. Be aware that St. John’s Wort is meant as a natural replacement for SSRIs and should not be taken with them since the combination can actually lead to too much serotonin in the body. This condition is called serotonin syndrome and can be accompanied with symptoms such as high body temperature, tremors, agitation, sweating, and diarrhea. Douglas Laboratories makes a high-quality St. John’s supplement called St. John’s Wort Max-V that includes not only a standardized dose of St. John’s Wort’s primary active ingredient, hypericum, but also other naturally occurring constituents of the St. John’s Wort plant. A study from Archives of General Psychiatry found that patients with SAD tend to not only display a lower metabolic rate than healthy people, as measured by PET (positron emission tomography) scans, but also have more metabolic activity in the left side of the brain’s medial prefrontal cortex than the right. What makes ginkgo biloba unique and useful is its power to prevent metabolic issues associated with SAD by increasing blood flow, which balances and stabilizes metabolic rates that have been altered by SAD. Some studies, such as one published in Endocrinology, show that ginkgo can increase serotonin levels. The research indicates that it is likely due to ginkgo boosting the number of serotonin binding sites in the brain, which helps people with SAD absorb more of this important, soothing neurotransmitter. The Mayo Clinic states that there is good scientific evidence that ginkgo biloba can address depression by improving blood flow to the brain and a review of available studies, published in Alternative Medicine Review, also notes that ginkgo biloba extracts have been shown to improve conditions associated with depressive mood (as well as memory and mental performance). A high-quality ginkgo biloba supplement, such as Gingko 50 by Pure Encapsulations, is an effective way to harness ginkgo’s unique properties. 5-HTP helps with common SAD-related issues (such as regulation of mood, sleep, appetite and the perception of pain) by directly supplying the body with the materials needed for the creation of serotonin. A simple explanation of the process is that, with the help of certain vitamins, molecules and neurotransmitters, tryptophan becomes 5-HTP which then becomes serotonin. In the last handful of years, several studies have supported the hypothesis that 5-HTP may be effective for those struggling with SAD. A double-blind trial from JAMA Psychiatry compared 5-HTP with a particular pharmaceutical antidepressant often prescribed to SAD patients and showed there was no significant difference in efficacy of 5-HTP and the drug. A study published in Asian Journal of Psychiatry came to a similar conclusion and determined that 5-HTP certainly has antidepressant effects in those with depression and that patients can see improvement from 5-HTP within 2 weeks of treatment. Vital Nutrients’ 5-HTP is naturally derived from the seeds of the Griffonia simplificolia plant and is a great choice for those interested in seeing what 5-HTP can do. Since 5-HTP is like St. John’s Wort in that they can both cause elevated serotonin production, exercise caution when pairing them together unless under the advice of your health care practitioner. Since everyone’s body and brain is different, your healthcare practitioner may work with you to experiment (one at a time) with both 5-HTP and St. John’s Wort to see which one works better for you. The primary clinical application for Valerian is as a sedative in the treatment of insomnia, but it can also be used in the treatment of SAD because it addresses stress and anxiety. BMC Complementary and Alternative Medicine published a recent study that showed valerian root extracts can suppress physical and psychological stress that affects both those with insomnia and SAD. A study from Journal of Pharmacy and Bioallied Sciences found that valerian use is effective in preventing depression-like behavior. Those with SAD (especially when accompanied by insomnia) could benefit from a regimen of melatonin, valerian and 5-HTP supplements taken 30 minutes before retiring to help relax, boost mood, and encourage sleepiness. MyoCalm Plus, by Metagenics, is a great way to take advantage of the relaxing properties of valerian because it pairs high-quality valerian extract with other soothing herbs such as passionflower, lemon balm, and hops. The coming of dawn is much more than a pretty sunrise to look at; it passes signals along to the brain that actually reset your body’s natural rhythm for the upcoming day and instructs the pineal gland to halt its production of sleep-inducing melatonin. One possible way to treat SAD is to produce an artificial dawn through what is called phototherapy. Although studies are inconclusive about whether phototherapy is effective by itself, it does appear to boost the effectiveness of other treatments such as natural supplementation. Aside from supplementation and phototherapy, exercise can also be tremendously helpful. The same dark, cold weather that causes SAD may make it difficult to exercise outdoors, so consider joining a gym and choosing a treadmill or stationary bike near a window to get a similar effect. An activity like yoga can also address SAD symptoms by combining exercise with mind-clearing meditation. Sticking to a regular schedule can be helpful for those with SAD who have trouble sleeping since going to bed and waking up at similar times every day can reduce insomnia. Some foods, such as eggs, cheese, nuts, seeds, and turkey, contain tryptophan that the body can turn into serotonin. However, since the body is fairly inefficient with its conversion of tryptophan to serotonin, supplementation (especially with 5-HTP) is typically a more effective and direct way to significantly raise serotonin levels. Although it is normal to feel a little “down” from time to time, consistent, reoccurring seasonal depression is a real condition that can and should be addressed. The right natural supplements provide a gentle way to normalize mood without dangerous side effects. If you have any questions regarding the concepts discussed here or anything else, you can reach our customer service team at 888-460-3091 or e-mail them at customerservice@oakwaynaturals.com. 5HTP (5-Hydroxytryptophan) promotes serotonin levels in the brain which help create healthy functioning of the sleep/wake cycle. Emotional well-being and appetite control may also be affected in a positive manner. Vital Nutrients 5HTP is naturally derived from the seeds of the Griffonia simplificolia plant. There are no one-size-fits-all remedies for SAD, primarily because symptoms can vary considerably in each individual. The difference between SAD and other conditions that cause similar symptoms is the cyclical nature of SAD. In other words, you may have SAD if your depression consistently gets worse in the winter months and gets a little better in the spring and summer. The latest research on SAD shows that as we move into the longer and darker days of winter, our body’s internal production of the hormone melatonin and the neurotransmitter serotonin shift and the resulting imbalance between these two chemicals can trigger the onset of SAD. The body’s internal clock depends on a healthy and balanced dose of light and dark exposure to help it stay synchronized. As the seasons shift and the days become shorter and nights become longer, the body is naturally exposed to higher levels of melatonin. The production of serotonin is triggered by sunlight and it is known to directly combat depression. Serotonin is a neurotransmitter (helps to carry signals within nerves) and found in the brain and gut. Many studies show that St. John’s Wort boosts production of “feel good” brain chemicals like serotonin and dopamine and is effective in alleviating the symptoms of mild-to-moderate seasonal depression. One study concluded that St. John’s Wort is as effective as certain pharmaceutical options, making it a great replacement for those on the pharmaceutical antidepressants known as selective serotonin reuptake inhibitors (SSRIs). St. John’s Wort also has a much lower abuse potential than such drugs. Be aware that St. John’s Wort is meant as a natural replacement for SSRIs and should not be taken with them. Douglas Laboratories makes a high-quality St. John’s supplement called St. John’s Wort Max-V that includes not only a standardized dose of St. John’s Wort’s primary active ingredient, hypericum, but also other naturally occurring (and likely beneficial) constituents of the St. John’s Wort plant. Another study found that patients with SAD tend to not only display a lower metabolic rate than healthy people, but also have more metabolic activity in the left side of the brain’s medial prefrontal cortex than the right. What makes ginkgo biloba unique and useful is its power to prevent metabolic issues associated with SAD by increasing blood flow, which balances and stabilizes metabolic rates that have been altered by SAD. The Mayo Clinic states that there is good scientific evidence that ginkgo biloba can address depression by improving blood flow to the brain. Additional research indicates that ginkgo boosts the number of serotonin binding sites in the brain, which helps people with SAD absorb more seratonin. A high-quality ginkgo biloba supplement, such as Gingko 50 by Pure Encapsulations, is an effective way to increase the brain’s ability to absorb this soothing neurotransmitter and normalize the metabolic activity that SAD alters. 5-HTP helps with common SAD-related issues (such as regulation of mood, sleep, appetite and the perception of pain) by directly supplying the body with the materials needed for the creation of serotonin. A study published in Asian Journal of Psychiatry determined that 5-HTP has antidepressant effects in those with depression and that patients can see improvement from 5-HTP within 2 weeks of treatment. 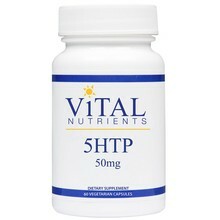 Vital Nutrients’ 5-HTP is naturally derived and is a great choice for helping minimize symptoms of SAD. Since 5-HTP is like St. John’s Wort in that they can both cause elevated serotonin production, exercise caution when pairing them together unless under the advice of your health care practitioner. The primary clinical application for Valerian is as a sedative in the treatment of insomnia, but it can also be used in the treatment of SAD because it addresses stress and anxiety. A recent study showed valerian root extracts can suppress physical and psychological stress that affects both those with insomnia and SAD. Those with SAD (especially when accompanied by insomnia) could benefit from a regimen of melatonin, valerian and 5-HTP supplements taken 30 minutes before retiring to help relax, boost mood, and encourage sleepiness. MyoCalm P.M., by Metagenics, is a great way to harness the relaxing properties of valerian because it pairs high-quality valerian extract with other soothing herbs such as passionflower, lemon balm, and hops. The coming of dawn is much more than a pretty sunrise to look at; it passes signals along to the brain that actually reset your body’s natural rhythm for the upcoming day and instructs the pineal gland to halt its production of sleep-inducing melatonin. One possible way to treat SAD is to produce an artificial dawn through what is called phototherapy. Aside from supplementation and phototherapy, exercise can also be tremendously helpful. The same dark, cold weather that causes SAD may make it difficult to exercise outdoors, so consider joining a gym and choosing a treadmill or stationary bike near a window to get a similar effect. An activity like yoga can also address SAD symptoms by combining exercise with mind-clearing meditation. Although it is normal to feel a little “down” from time to time, consistent, reoccurring seasonal depression is a real condition that can and should be addressed. The right natural supplements provide a gentle way to normalize mood without dangerous side effects.